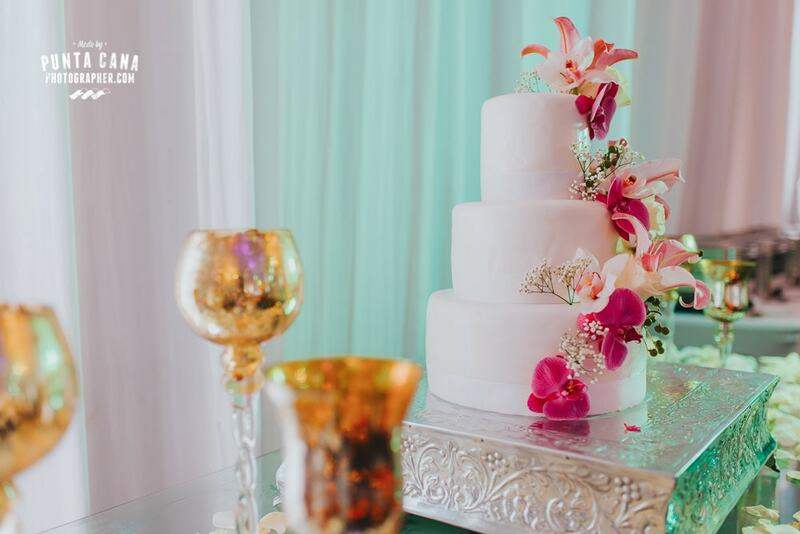 No wedding is easy to plan, no matter how big or small it is always a hard task for the bride and groom. But what about planning an Indian Wedding from another country? Does that work? The answer is yes! 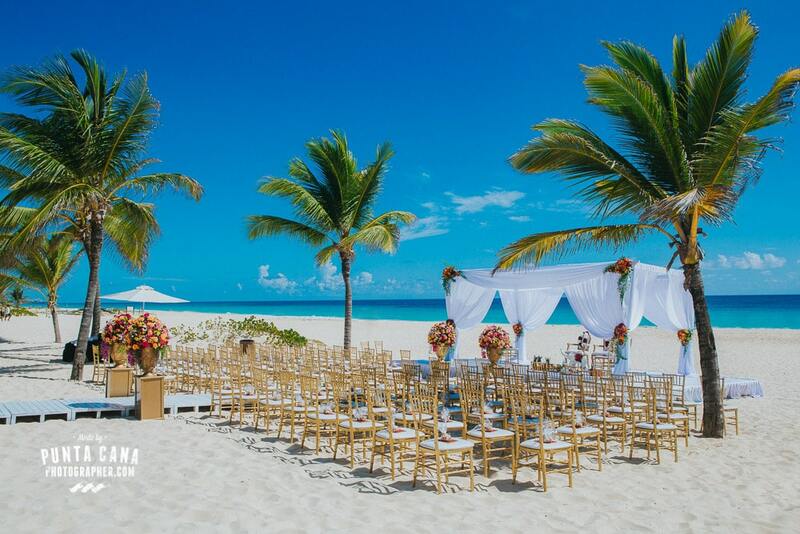 If you are getting married in Punta Cana then you know the perfect place to plan an Indian Wedding is Hard Rock Hotel. The structure of this resort is one of the few that can hold such a big event (or events) for so many people and do it perfectly to the last detail. And the Wedding Setups they can up with are incredible! Usually, this type of weddings have a lot of guests, and many events during the week such as Mehndi or Pithi so you definitely have to have the best team by your side to keep up with these incredible traditions. 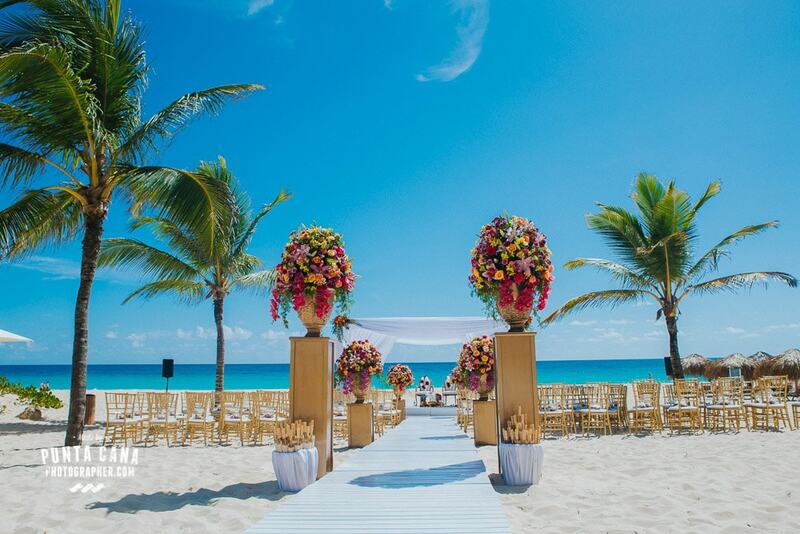 Whatever you can imagine for the ceremony, reception or any other event it can be done in the most incredible way thanks to the hard working staff at Hard Rock. 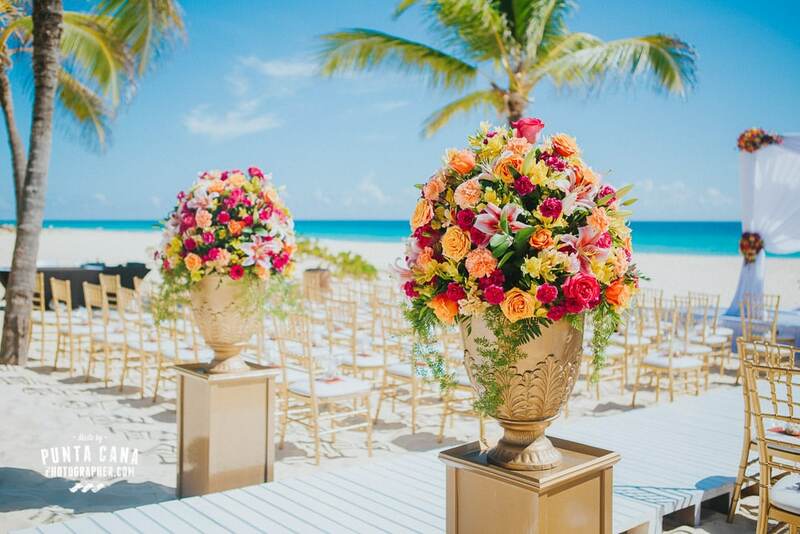 From the wedding planner to the decoration team and the florist, everybody will do their little part to make your dreams come true. 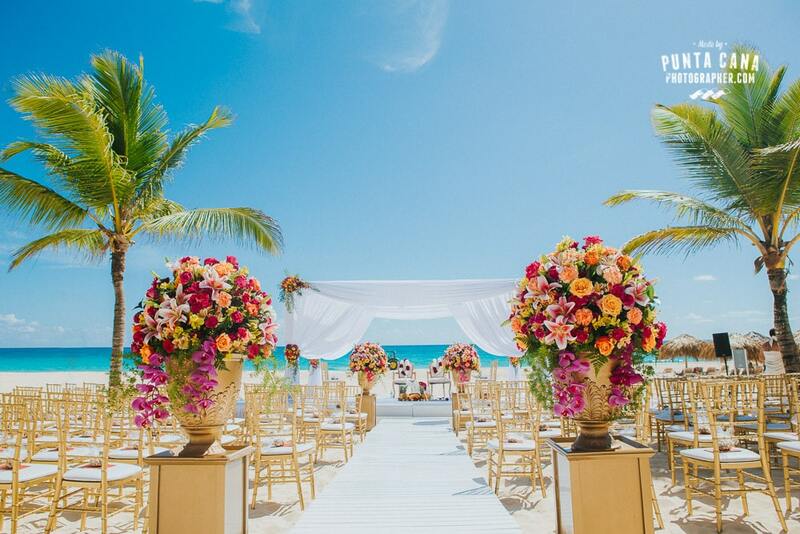 In this case, we wanted to show you a few ideas of how your wedding can look like if you get married in the Dominican Republic at Hard Rock Resort. Starting from the Sangeet, the night before the wedding day to the beautiful ceremony set up, until the reception. 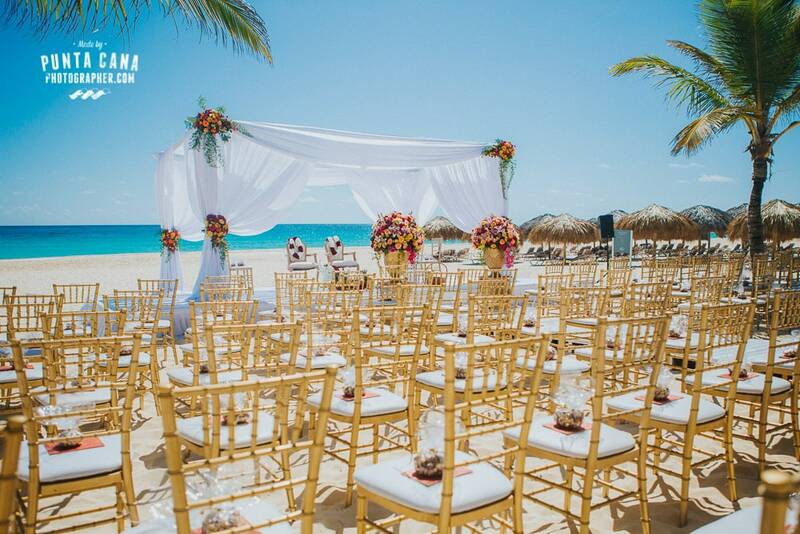 As you can see in the following photos the beautiful setup for the ceremony in this wedding has all the necessary elements that you will need. 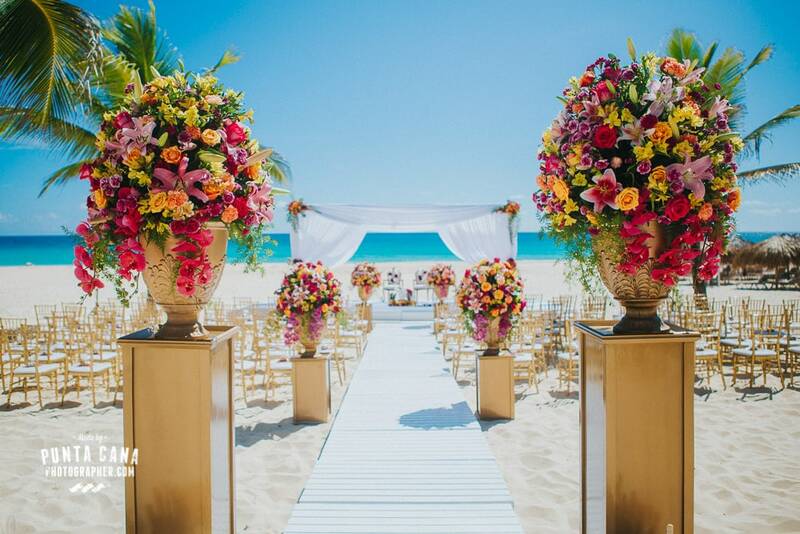 The Wedding Mandap is decorated with light fabric, flowers, garlands and royal chairs for the Bride and Groom. The Ganesh Puja is an Indian wedding tradition where Lord Ganesh is worshipped for good luck as it is known to be the destroyer of obstacles in the newlywed’s life. There is a statue or representation of Ganesh during the ceremony to prepare the couple for a new beginning, in this case, the representation is entirely made of flowers! 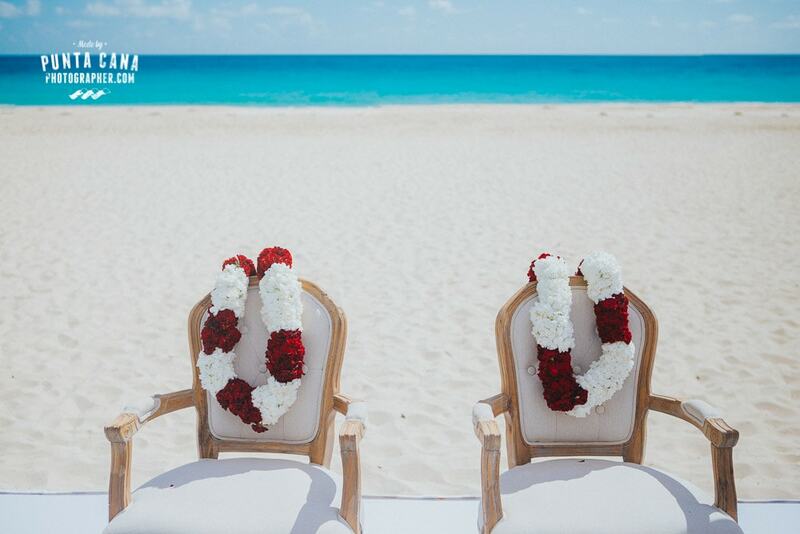 Jai Mala is the exchange of garlands between the bride and groom which symbolizes the acceptance of one another, and as you can see the flower garlands look beautiful placed on the chairs. 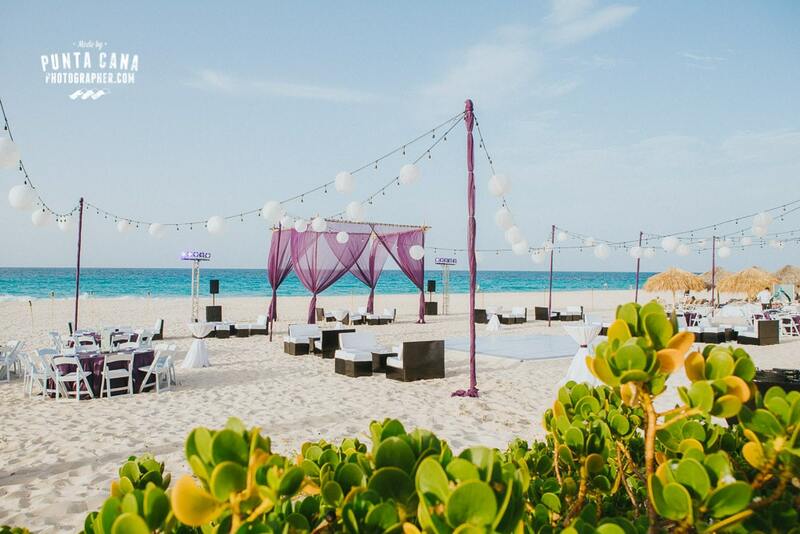 These and many other elements can be found in this beautiful Hard Rock wedding setup for an Indian Wedding, have a look!